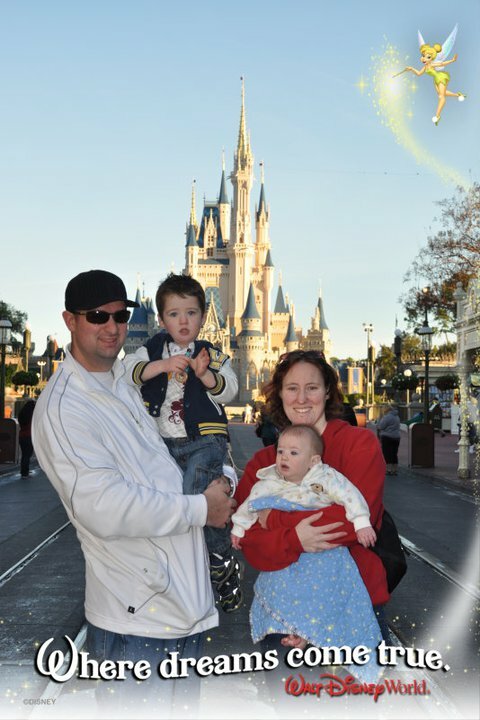 Tales of Mommyhood: Disney family vacay 2011 - We are HOME! 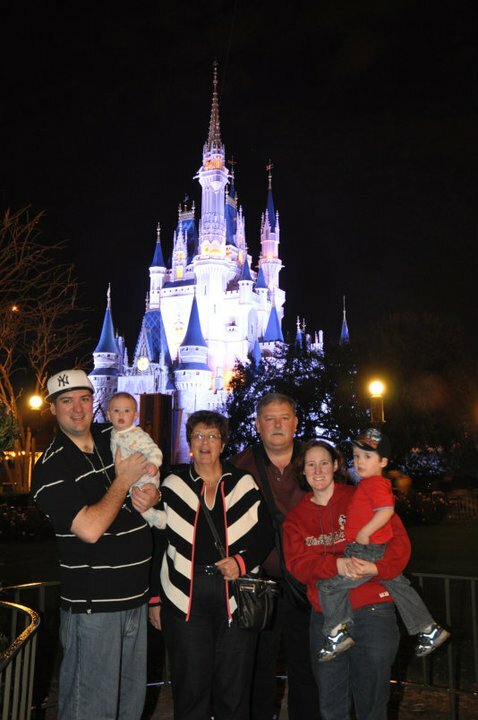 Disney family vacay 2011 - We are HOME! We arrived back home on Tuesday evening. 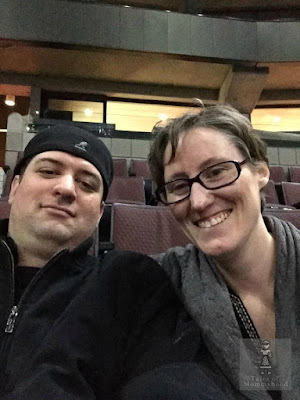 We had a lot of fun; it was exhausting - I told hubby that I don't remember being THIS tired when we were there, and we did a lot more walking etc. He reminded me that we didn't have kids with us and were actually able to sleep at night! 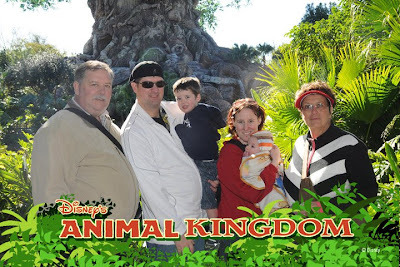 We headed out on Jan 25th (myself, hubby, DS3 and DSinfant, MIL and FIL). We arrived at the hotel around 600pm - by the time we were in the room (bay lake tower 2br suite) it was about 7pm. I had a VERY cranky baby on my hands, who was soooo overtired and wouldn't settle. He had been up the entire night before and the same pretty much held true for the night we arrived. The suite was nice to have, lots of space for our oldest to run around. But I found the rooms to be quite rundown. Stains on the couch and carpet; tiles cracked in the bathroom etc. Wednesday we headed to MK and hubby and IL's walked onto pretty much every ride. I think the longest wait was 5min. I had to stay off and deal with overtired screaming baby pretty much all day. We had lunch at Tony's, it was ok - not as good as when we were last there (5years ago). Dinner DTD at House of blues (again, it was ok - but nothing too spectacular). Headed back to the hotel and went to bed. Thursday morning we had brekky at Crystal palace - we were able to get into the park before opening since we had brekky reservation! It was nice and we got some shots of the castle without too many ppl in the background. My breakfast was great - they had pumpkin muffins which I fell in love with on our honeymoon. ODS loved the characters! 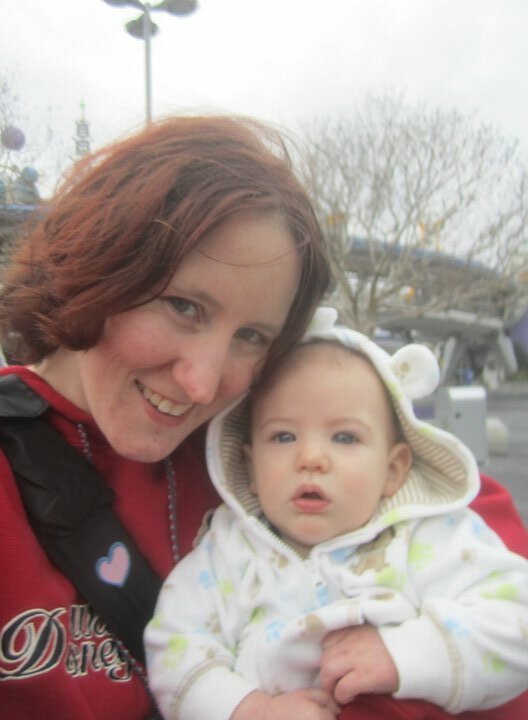 We then went back into the park and since baby was co-operating, I was able to go on haunted mansion, small world and pirates! The 4 of us headed back to the hotel for a little while and met up with IL's for dinner at coral reef. They greeted us with the offer of complimentary champagne to celebrate our anniversary - which was nice - and it was a great champagne! Our food was pretty slow to arrive though, and I ened up leaving half way thru the meal because of cranky baby and ODS who was falling asleep at the table. 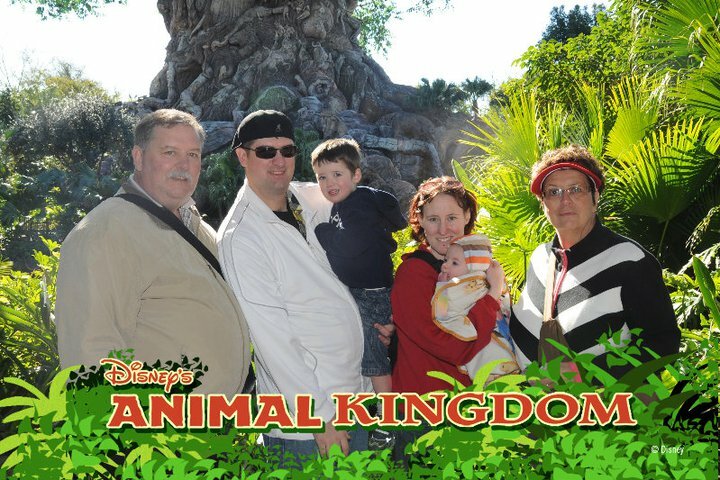 Friday we headed to animal kingdom - baby slept for most of it and I was able to go on a few rides with ODS so taht was nice. I did have to forego the safari though as he was screaming and I was worried that it would a) scare the animals and b) ruin it for everyone else. Had lunch at rainforest and it was great! Just as good as I remembered! Saturday we headed to DHS - didn't do much there, not much interest for any of us..
Sunday we had lunch at t-rex - again, food was terriffic - but it was SUPER loud and hard to hear. Good experience though. Headed back to the hotel and relaxed for a few hours. I headed to the pool with the baby while ODS and hubby napped. After a quick bite in the room we all headed over to MK to watch the fireworks. It was EMH so we were able to stay late. Got to experience Peter Pan's Flight - and I must say, out of all the kids attractions I think it is my fav! Pooh hold up a close 2nd. Monday morning the 4 of us headed to epcot for nemo and figment. Enjoyed our first frozen lemonade (delicous) and then back to the hotel. ODS went to the pool with his grandparents and hubby and Istarted to pack for home. Monday night dinner at chef mickeys - and I was quite surprised at how good thefood was. ODS had a blast with teh characters also! I went back to the room with baby and the others went to the arcade! We will probably always do breaky at CP; and we will now have to add in Chef Mickeys also. That looks like so much fun! We really want to take my son there some time soon! 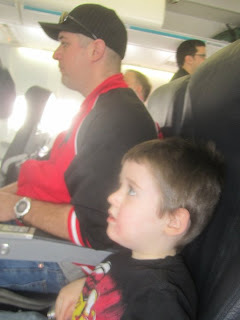 It's hard to travel with an infant but it looks like you still managed to have a good time. It was nice that your IL's were able to go too...made for lots of fun family memories I'm sure. we managed -the trip was for ODS, and he had a blast...that was the most important thing. Thanks for commenting! I would LOVE to go back one day. Our girls were 1.5 and 4 when we went. Looks fun. I really want to bring my 2 boys. I always wanted to go as a child, but never got to. I would so LOVE to visit this place someday,it must be amazing !Love the photo's!